The Deluxe FH High Wall Heat Pumps have a multitude of features that will exceed your expectations. 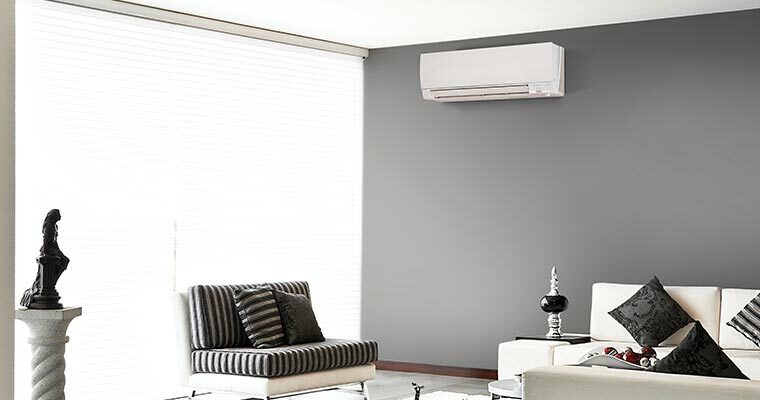 Packed with additional settings, the Deluxe FH High Wall Series takes heat pump technology to a whole new level. The Deluxe FH Series may be compact in size but it certainly does not lack in performance. This Series comes in three different capacities allowing it to efficiently heat small to medium sized rooms. With new innovations, Mitsubishi Electric has managed to create a smaller device with exceptional heating and cooling abilities. This makes the Deluxe FH Series the perfect, discrete addition to either a home or office. 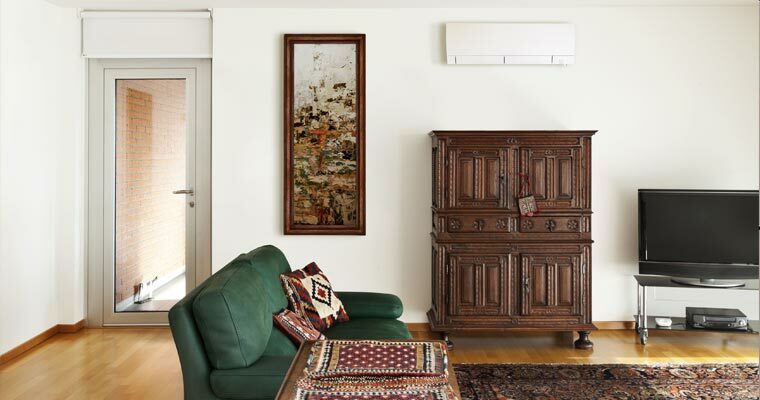 For exceptional energy efficiency, you can’t go past the Deluxe FH High Wall Heat Pump Series. The Series has obtained the Energy Star Mark for their excellence in energy efficiency. The FH25 in particular boasts a six-star energy efficiency rating. With their superior performance, the Deluxe FH High Wall Heat Pumps deliver warmth all winter long without hefty energy costs. Mitsubishi Electric is a leading brand for innovation and the Deluxe FH Series is a testament to that. The models in the Deluxe FH Series are loaded with advanced features that deliver heating and cooling like never before. Exclusive to the Deluxe FH Series is the 3D i-See Sensor which continuously analyses the temperature of a room to distribute heat more evenly. The eight sensors within the 3D i-See Sensor can detect the exact position of each occupant in the room and analyses their heat profiles before delivering the perfect temperature to the right areas. Users of the Deluxe FH Series will also enjoy the Dual Split Vane setting for better airflow and Plasma Quad Filtration for enhanced air quality. The Mitsubishi Electric Deluxe FH Series comes with the option to upgrade to Wi-Fi control. Monitor your heat pump from your smart phone or tablet for ultimate convenience. Contact us to find out more about the Deluxe FH High Wall Heat Pump Series.